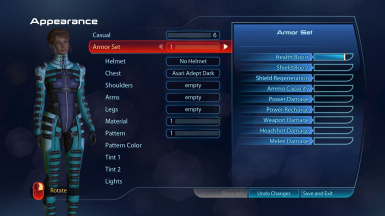 Necessary if you don't want a mismatched helmet. 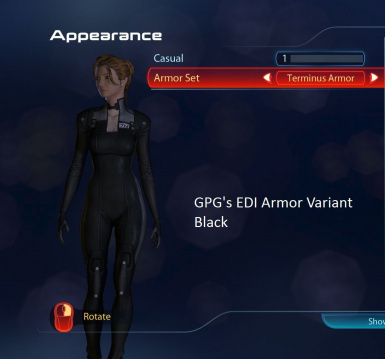 Show off your fabulous modded hair, too. 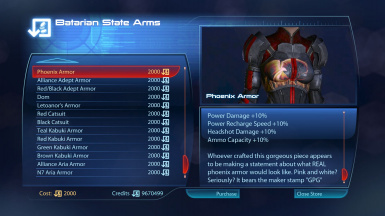 This version has all the tank-centric bonuses on each piece. 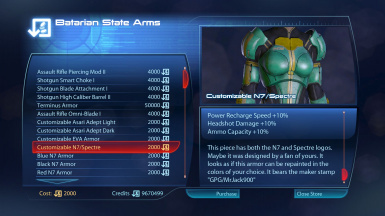 This version has all the damage-dealing bonuses on each piece. 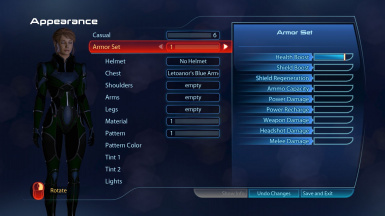 Each armor piece (chest, arms, legs, shoulders) has ALL the armor bonuses on it. 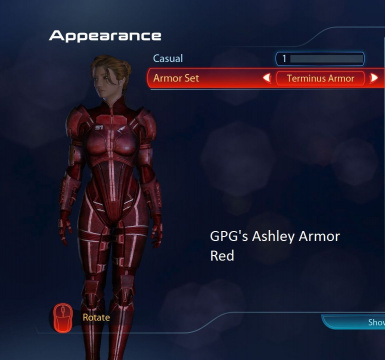 GPGs retextures of VoodooSeason's Ashley armor in five colors. 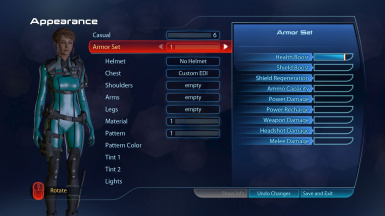 INCLUDES DEFAULT AND NON-DEFAULT VERSIONS. 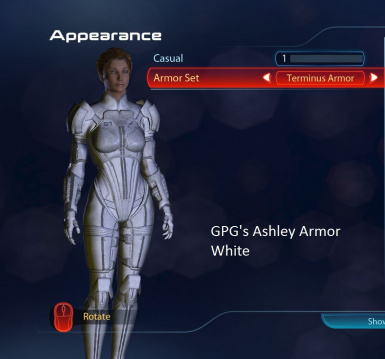 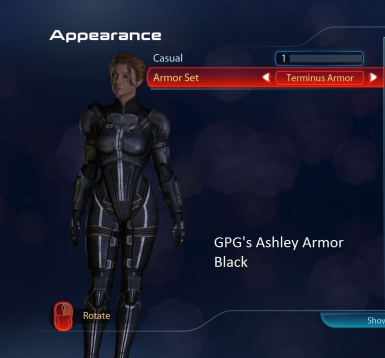 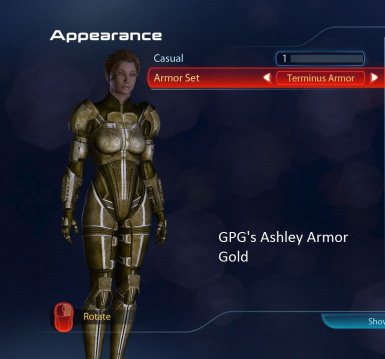 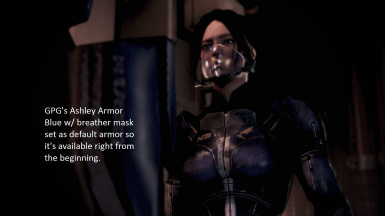 Ashley's blue armor with an N7 logo. 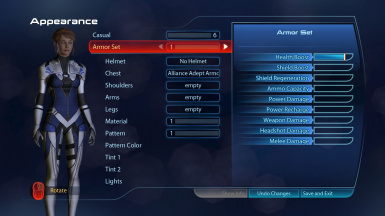 WILL NOT BE SET AS DEFAULT ARMOR. 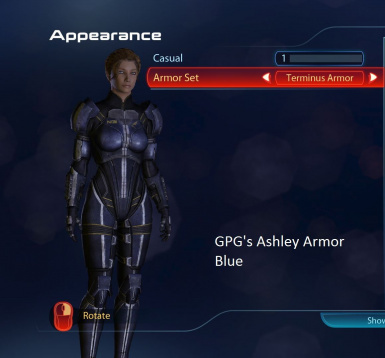 Ashley's blue armor with an N7 logo. 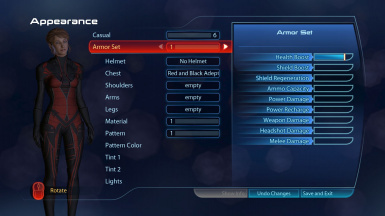 WILL BE SET AS DEFAULT ARMOR. 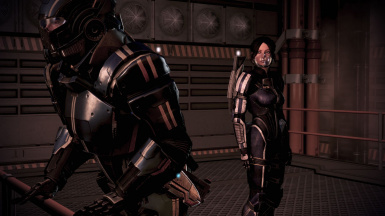 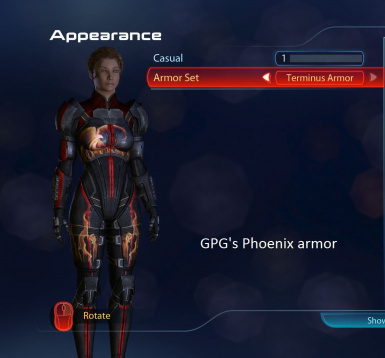 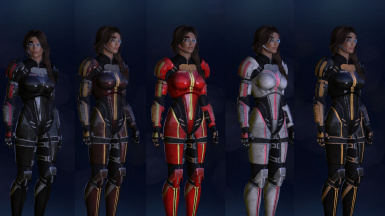 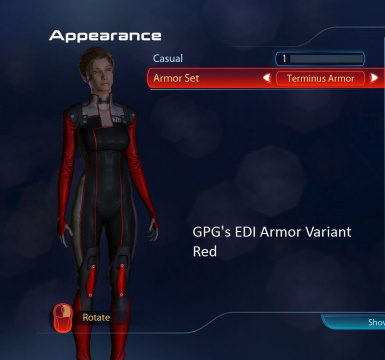 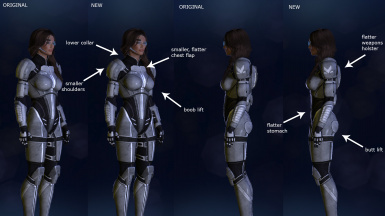 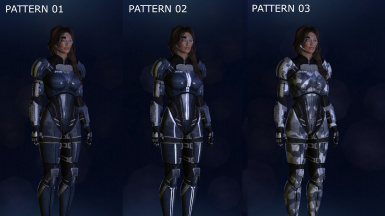 GPGs retextures of EDI's armor for FemShep, black and red. 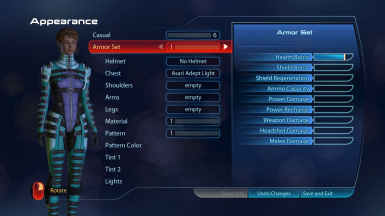 INCLUDES DEFAULT AND NON-DEFAULT VERSIONS. 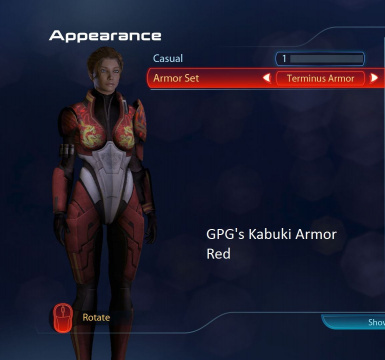 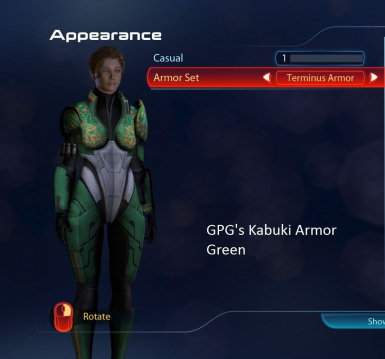 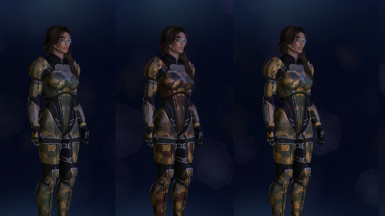 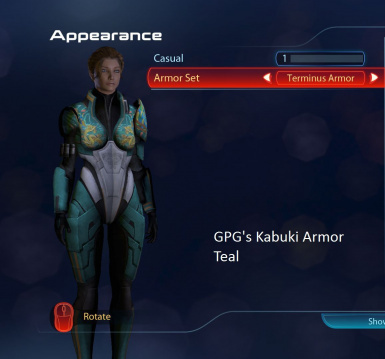 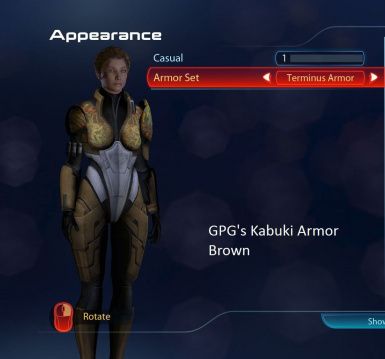 GPGs Kabuki Armor for FemShep in four colors. 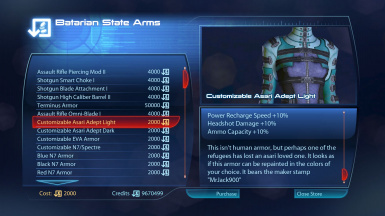 INCLUDES DEFAULT AND NON-DEFAULT VERSIONS.